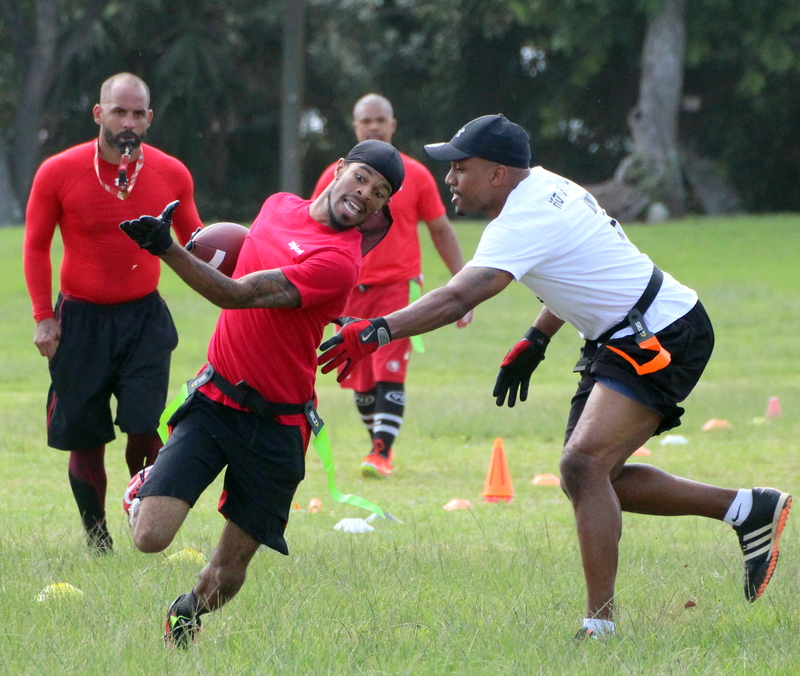 Action resumed in the Bermuda Flag Football League (BFFL) Winter League Season with yet another triple header on the T.N. Tatem Middle School Field. In some windy conditions a total of 152 points was put on the board. In the opener the X-Patriots went down 51 – 7 to the Killa Squad, the Beer-Muda Misfits went down 38 – 6 to the Punisher and the Black Shark$ defeated Nothin But D 37 – 13.